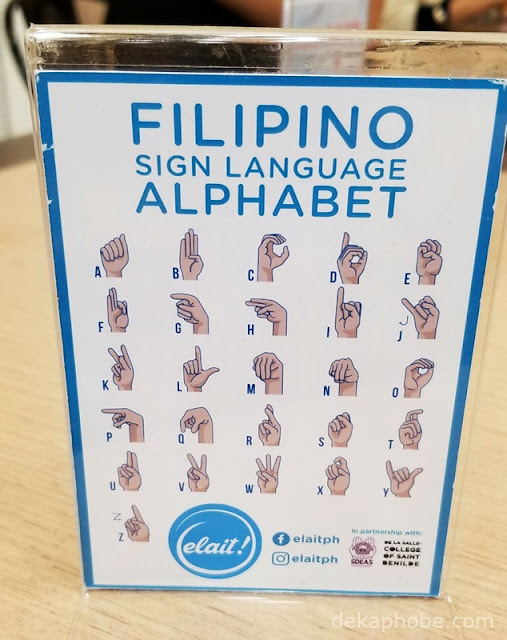 When I went back to Manila for vacation, I was looking forward to try not only restaurants that I haven't visited before, but also food stalls that serve interesting food. And one type of food that I'm always interested in is ice cream. That's why when I saw Elait, it wasn't difficult to choose this place to eat dessert. 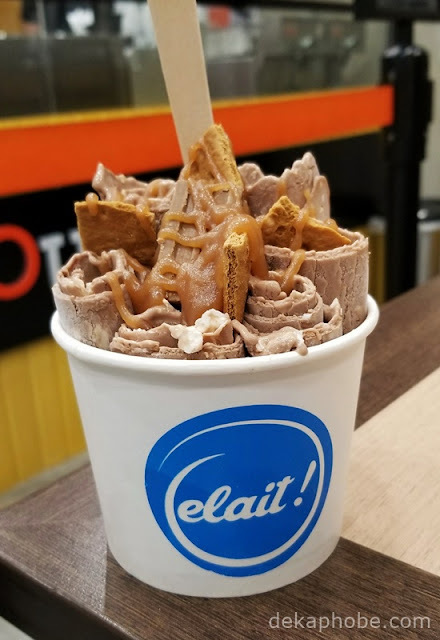 I have a deep appreciation for made-to-order ice cream (such as the now-closed Kool Kids Ice Cream), and Elait does exactly that and more. 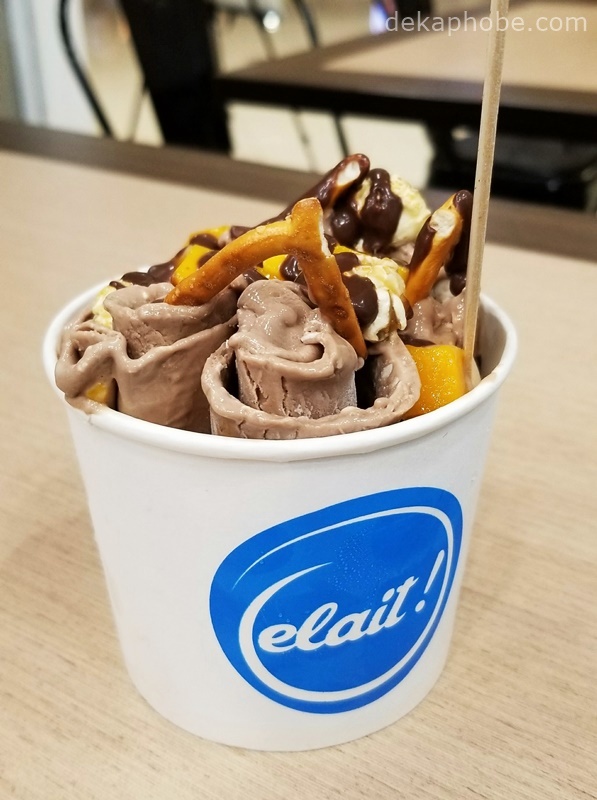 Aside from creating rolled ice cream from scratch, Elait creates social impact by employing people from the deaf community in the country. 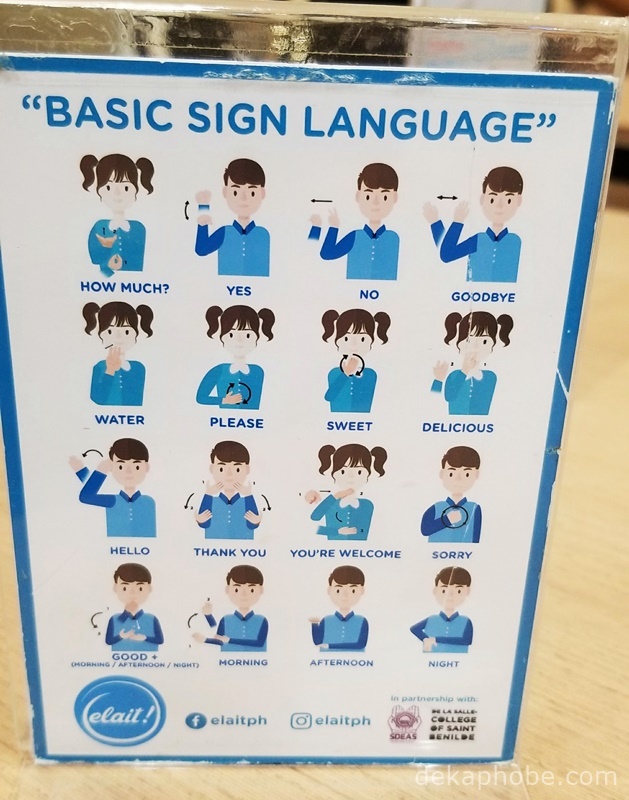 In fact, there are sign language guides in the shop to help you communicate with the staff properly. 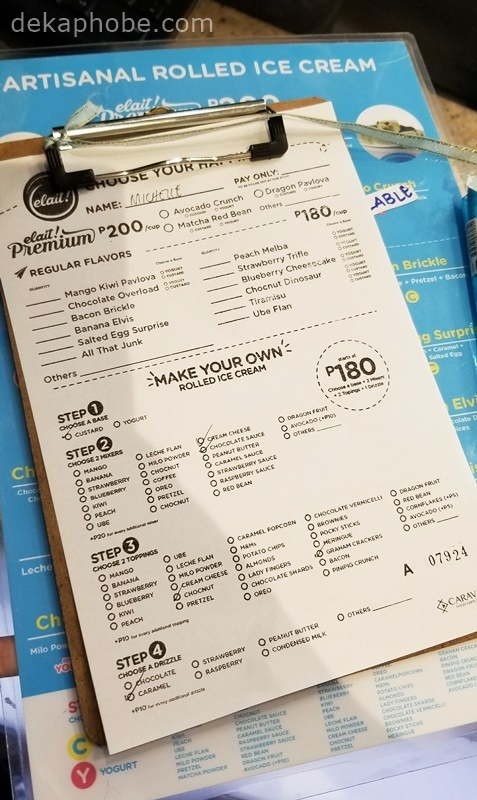 As soon as we reached the counter, we were handed out an order form on how we want our ice cream. There are Premium flavors (Php 200) and Regular flavors (Php 180). 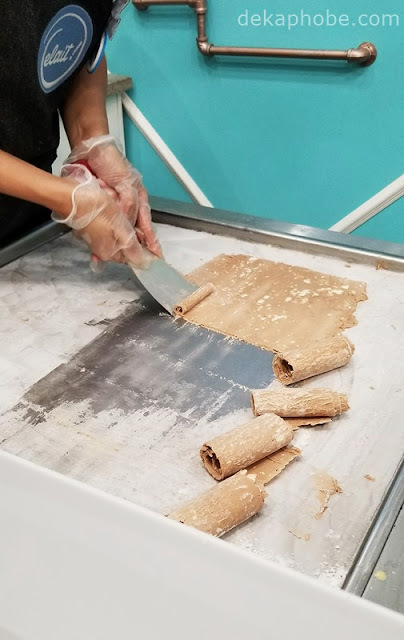 But if you're in the mood to be creative, you can create you own rolled ice cream starting at Php 180. For Php 180, you can choose your base (custard or yogurt), 2 mixers, 2 toppings and 1 drizzle. You may add more mixers for Php 20 each or toppings and drizzles for Php 10 each. 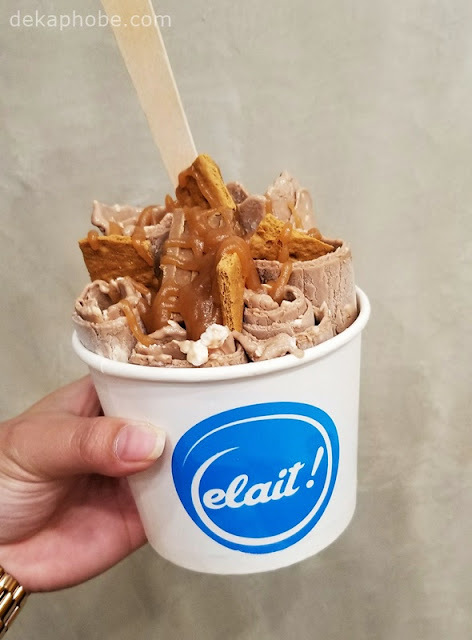 For my ice cream (Php 180), I chose a custard base, with cream cheese and chocolate sauce for mixers, chocnut and graham crackers for my toppings, and caramel drizzle. My friends' opted to share a cup of ice cream (Php 190), which also has a custard base, with chocolate sauce and cream cheese for mixers, mango, pretzel, and caramel popcorn for toppings, and chocolate drizzle. The serving is quite huge for one, even for me who eats too much ice cream. I love that the chocnut and cream cheese combination works well. I would love to try other local flavor combinations like mango, ube, or leche flan. Or maybe try a yogurt base next time. As a foodie and supporter of small food businesses, I hope that Elait will be emulated by other businesses and consider creating social impact while serving amazing food to everyone.